If you own your own house you are sure to know how common plumbing problems occur and how time-consuming they can be. 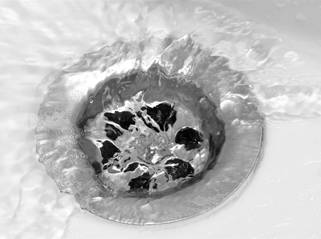 One of the most common plumbing problems that home owners encounter is a clogged drain which can wreak havoc on homes. Most people think that they can unclog drains by themselves, but this is simply not the case as the average person does not have all of the tools or experience that an experienced plumber has. This means that if you suspect that you have Clogged Drains in Phoenix AZ you should consult with your plumber today before it wreaks havoc on your home. Believe it or not, one of the most common problems that plumbers fix on a daily basis is clogged drains! It seems like a simple fix, but there is more to the process than just a simple fix. Plumbers often times have to use special tools which require experience to use to get the clog out. Plumbers also have the correct tools to get the whole clog out rather than just a small part of it which makes it beneficially to hire a plumber rather than doing it yourself incorrectly several times. Another thing to take into consideration when dealing with a clog is knowing that plumbers are trained and licensed to deal with this situation where as you more than likely are not trained. You should also be aware of the fact that if one of your drains are clogged there is a chance that several of your drains can be clogged as well. If that is the case, you more than likely have a stoppage in your mainline that needs to be assessed immediately if that is the case. As you can see there are several reasons in which you may want to consult with a plumber in regards to your Clogged Drains in Phoenix AZ. You should also remember they have seen almost everything to do with drains and are knowledgeable with tons of things with regards to drains and draining systems.